You can vote from 3 workouts for what you would like the final Open workout to be. Here is how. “At 3 p.m. PT, March 22, Castro will announce three workout options for CrossFit open Workout 18.5 on Facebook Live. The CrossFit community will then have the chance to vote on the workouts and select the one we will all have to perform in Week 5 of the CrossFit Games Open. That’s right: three options at 3 p.m. PT. 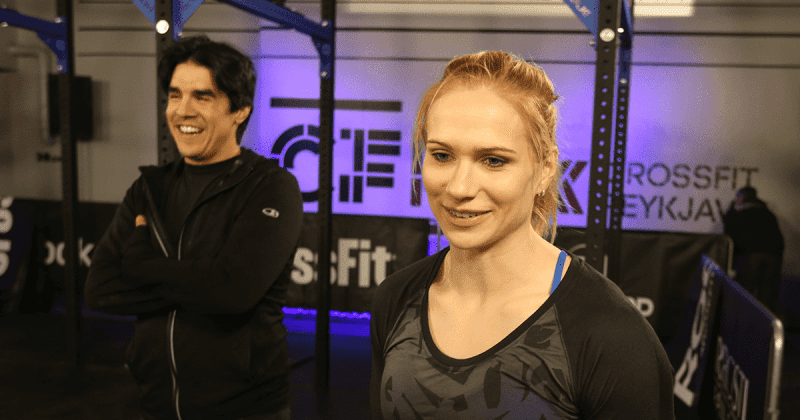 At 5 p.m. PT, Castro will announce the winning workout and the Dottirs—Annie Thorisdottir, Katrin Davidsdottir and Sara Sigmundsdottir—will go head-to-head on 18.5 from CrossFit Reykjavík in Iceland. Here is a great tool for working out exactly what these times will be in your Geographical location. Dave Castro generally cuts a mysterious figure, especially when he is announcing CrossFit Open Workouts, but he has been heavily involved in CrossFit right from the beginning. Learn more about the man behind the WODs. Dave Castro knew he wanted to become a Navy SEAL before graduating from high school, and it wasn’t long after that he enlisted in the Navy, graduated from BUD/S and began his service as a SEAL from 1998-2010. In 2005, he first caught wind of CrossFit and started following CrossFit.com to support his training. By 2006 he had begun training at the original CrossFit HQ affiliate in Santa Cruz, CA and was soon helping out at Level 1 seminars. in 2007 he hosted the first ever CrossFit Games competition at his family’s Ranch in Aromas, CA. Since that time, the CrossFit Games competition has grown exponentially into a professional sport under Dave’s direction. Now Dave serves as the Director of the CrossFit Games and Co-Director of Training alongside Nicole Carroll. Should you Really Be Worrying about The CrossFit Open?